I spent New Years Eve in the North Carolina mountains with my good friends, my furry dog and lots of good food and cocktails. For the NYE holiday (after hiking Echota earlier that morning in 24 degree weather), we promised ourselves we would have a very late dinner in order to stay up until the ball dropped in New York. This late activity required a trip into town for beers at Appalachian Brewery, a couple homemade appetizers (I’ll share one this week) and special cocktails at the house. 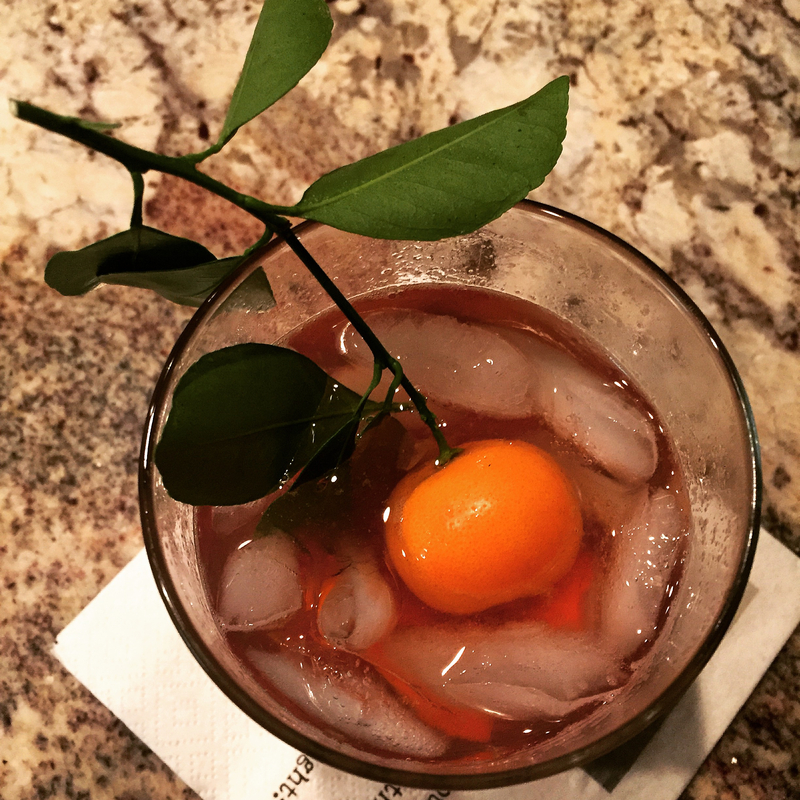 Check out the most delicious Old Fashion with my mom’s Florida sour calamondon oranges. It was a bitter 17 degrees in Foscoe while we were celebrating – so a strong cocktail, a winter cap and determination to grill was essential. Luckily for my friends, I love to grill and was excited for the challenge. So while most of my girlfriends were in black dresses and heals – I was in lined leggings, boots, a jacket and pink toboggan! Grilling tongs really add sparkle to an outfit. 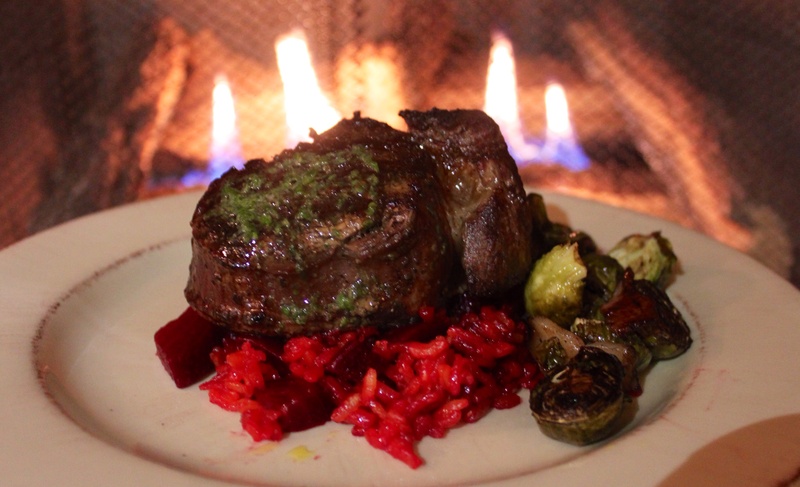 For dinner, I made grilled filet mignon steaks with an herb compound butter over beet risotto with roasted brussel sprouts. Not bad, right? After all, it’s 2015! A compound butter is an easy way to dress up any steak. A couple hours before grilling, pulse a stick of butter with a tablespoon of your favorite herbs – I used rosemary, thyme, parsley and sage. You could mix any variation – try a cilantro! Once the butter is combined, shape into a log and wrap with plastic. Refrigerate for a couple hours, slice it and top the steaks right before they are to temperature. The heat of the grill will melt the herb butter on the steaks for the perfect topping!